Believe me when I say I have NEVER been more excited for a product. 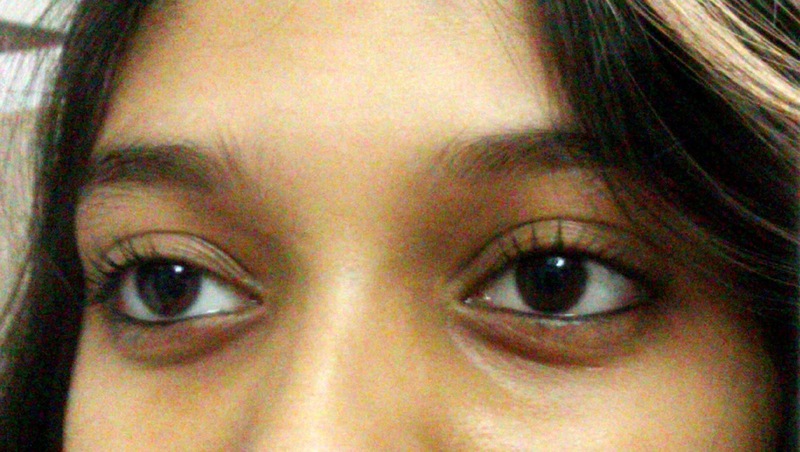 Oh, the number of times I have stared at pictures of it, and envied girls abroad for flaunting it on their peepers! Humph...! And each night I used to send up little pleas to the makeup gods, whining and begging for it to no end. Okay, this didn't go exactly like that, but yeah, it was sooo good to see it finally launched in India. False lash glam, instantly! Patented Spoon Brush fans out lashes from corner-to-corner, while our Pro-Keratin formula instantly builds volume without clumping. Unique flexible wand helps to lift and separate lashes to provide the look of 300% more visible, fuller lashes, no gaps from any angle. Contact lens safe and ophthalmologist-tested. Waterproof, also available in washable formula. 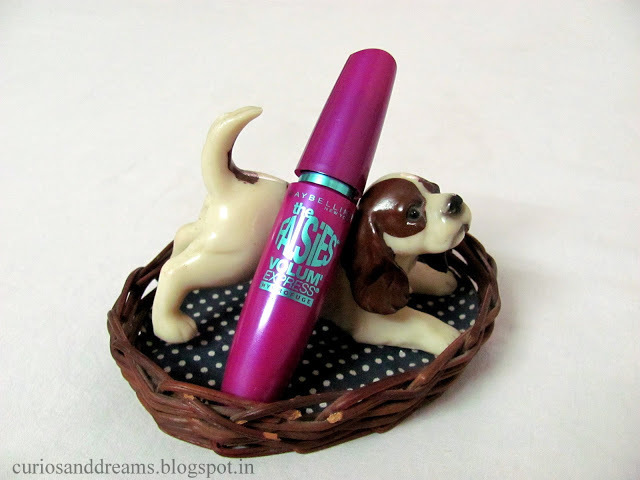 Packaging- Plump plastic tube in a magenta that I can't stop admiring. The cap screws on tight. Overall, quite sturdy. Wand- Curved and bristly, long and a little on the thin side. If the Colossal wand poked you endlessly, Falsies will not. Still, don't make the flexible brush do the samba near your eye. Just sayin'. The spoon wand really fitted against my eye curve. No poking, like with the straight wands. Also, I find the bristle brush more effective in coverage and volume building than comb wands. The Falsies instantly gave me noticeable length, but was it false lash glam? But this actually works in your favour! Would you like someone to walk up to you and say, "Oh wow! Your lashes look amazing fake!" See what I mean? Not a compliment in my opinion. That said, the volume factor isn't staggering, just decent. 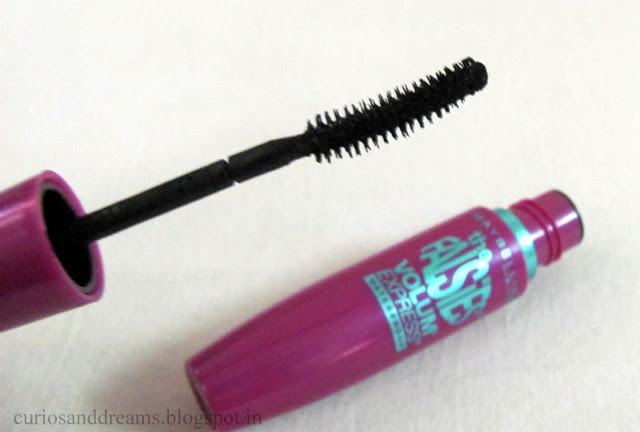 Do not attempt to apply this mascara in a nanosecond. No-no. You will not be happy with what happens next. Take 2 seconds to position the wand at your lash roots, then 1 second to swipe the brush upwards and outwards firmly for maximum curl. Do not let it dry between coats or you will land in clump-ville. I guess it happens because of the fibres in the formula. The end result is freaky. I use the waterproof variant, and it gets full marks for staying power! No smudging, no flaking throughout the day! It holds a curl quite well too. At the end of the day, have mercy and don't declare war on your lashes to get the stubborn thing off; OIL WORKS BEST. I personally use coconut oil, let it soak for a minute or half, and then wipe it off gently with a soft cotton cloth. Hey V! Sorry, I think my net glitched. I followed your blog on GFC again, just take a look and let me know if it was successful this time. I loved that green sweater dress btw! Such an awesome color, where did you get it from?